As my jewelry journey continues I've found certain artists that I go back to time and again for inspiration and instruction. 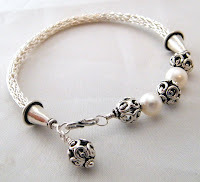 Melissa Muir fits both bills for me on her Kelsi's Closet Jewelbox Design Journal. I love her Tool Time Tuesdays and read them faithfully. Frequently I get to watch them since Mellisa is making YouTube videos and posting them with her blog. One of today's "TTT" videos is about operating 3 different torches. Some of you know that I was fortunate enough to host Don Norris, LearnSilver.com at A Beaded Affair one weekend at the end of September. We had six students who, with me learned to solder and each made a gorgeous piece of sterling silver jewelry. I love my pendent, but more on that later when I have a picture. So I was particularly interested in today's videos about using a torch. After you watch the video, head back over to the Tool Time Tuesday blog and watch the other videos on today's issue. You'll want to go back and find all the other great videos too. After you learn how to operate your torch and all the other tools Melissa has taught about, don't forget to check out all the solid copper wire, findings and beads at A Beaded Affair. You can use your new torch skills with solid copper. Don't settle for plated copper. Create heirloom jewelry with solid copper products. Cool Tool Alert! - Strips Copper But he doesn't know what that tool is for! Poor guy. He doesn't know he is making tangled beads for earrings and pendants. What a shame to send this to the smelter when it's gorgeous jewelry just waiting to be made. All your Solid Copper Wire, Findings and Beads at A Beaded Affair! Stop by and check out what's new. 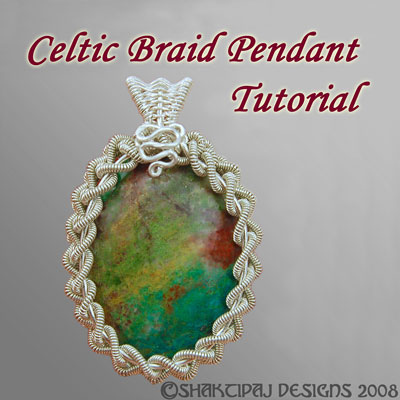 I've really enjoyed all of Szarka's videos on making jewelry. In this edition, she shares her approach to incorporating leather into your jewelry repertoire. Well worth watching and visit Magpie Gemstones. One of my favorite things to do with my blog is to promote jewelry artists that offer something more to the world of design and share their knowledge and creativity with others. Heading that list is Perri Jackson of Shaktipaj Designs, a name well known in wire circles. In addition to being an incredibly talented jewelry designer, Perri is one of those people with the rare gifts of eloquence and clarity. 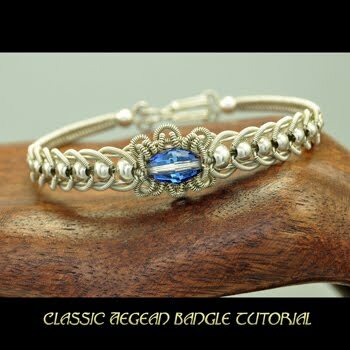 She uses her gifts to teach us how to create her amazing designs through a series of tutorials which help you master the techniques involved, so you can take those techniques and build on them to design your own beautiful jewelry. On her web site, Perri is now offering, for a limited time, an incredible deal on the entire series of tutorials, that's 21 complete tutorials for only $35.00. But wait, there's more! There's actually 30+ designs within those 21 tutorials. 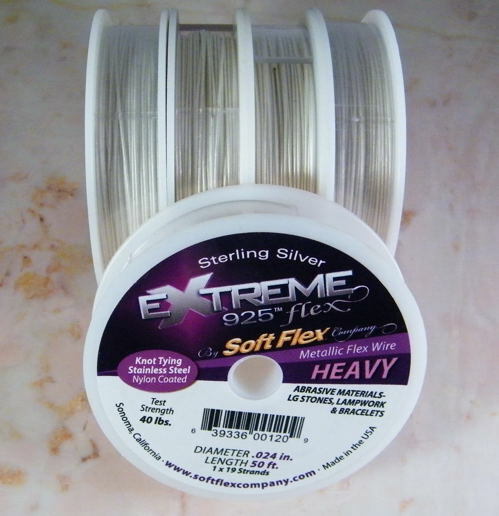 It's really an amazing deal that will keep you happily wrapping and coiling for many months to come. 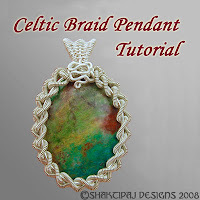 Perri's tutorials are loaded with clear, crisp, close up pictures that guide you through every single step in the process of making some really complex designs. She believes ""The details are not the details. They make the design." Charles Eame, and Perri gives you all the details you need to complete her tutorials. Perri has some interesting plans for the future. She's going to concentrate ononline class instruction, private work sessions and video classes – and ultimately – a BOOK!! I wish her all the luck in the world. Knowing Perri though, she'll be a wonderful success at whatever she attempts. Don't wait to order your tutorials. This is a limited time offer! Oh, and don't forget to stop by A Beaded Affair for all your copper wire and beads to create those great Shaktipaj designs. 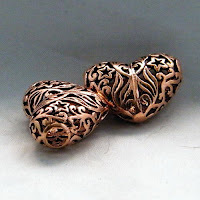 Copper Wire Jewelers - Love copper? Join today! 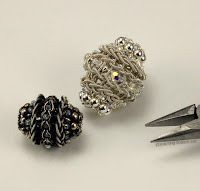 What an honor I had today to be featured in The Beading Gem's Journal, an excellent blog about all the facets of jewelry making. In fact, it's one of the blogs I read faithfully because it consistently provides information, ideas and tutorials in a reader, or is that beader, friendly way. The author, Pearl, a CWJ group member featured Copper Wire Jewelers today, a group I started almost 2 years ago for jewelers and beaders who enjoy working in copper and other alternative metals. I've been grinning from ear to ear since I read the article. Karen, of Karen Makes Stuff , also a member of Copper Wire Jewelers and a friend, suggested that Pearl could do a blog about the group and of course Pearl ran with it and out did herself. Karen and I met when I found her blog and discovered that she lived near where I grew up and my Dad still lives. 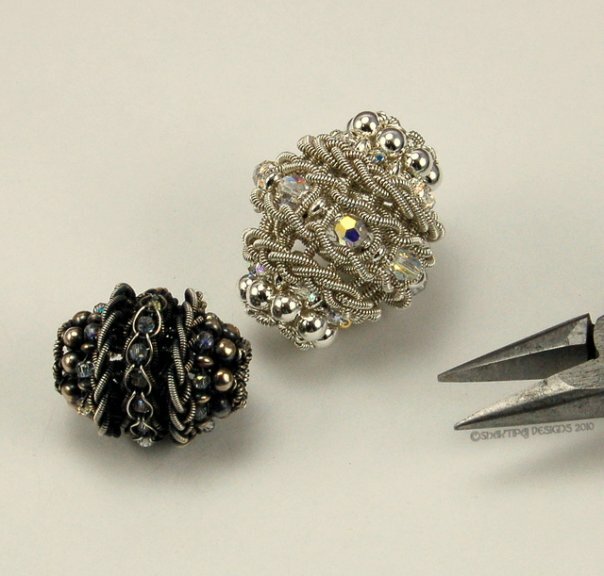 We got together for an impromptu wire wrapping lesson and had a ball. In fact, Karen has the only pictures of me that appear anywhere online and thankfully it's only my hands. Here's the lesson Karen turned into a blog. I am truly touched by the sentiment expressed in the article, the trust the members have put in me and the love of the friends I've made through Copper Wire Jewelers. I've said it before, the members of Copper Wire Jewelers are the best jewelry group on the web. I hope you will all come and see what we've built and will continue to grow. My special thanks go to Karen and Pearl for the article which blew me away. It's been so terribly long since I've written. Shame on me. I try to write only when I think I have something important or interesting to say and lately I just haven't felt interesting. Well, something finally made me sit up and take notice and want to write a couple of words to the world at large. I noticed the other day that it was three years ago that I started on the journey into the art of creating jewelry and learning how to function on the world wide web. It seems like only yesterday that I was torturing my daughter for information on how to sign up for blogs and asking her to fix all the many things I broke on my way around the web. Well, actually, it was yesterday, once again she had to come to my rescue. But that aside it's been an adventure in learning, experimenting, creating and selling. Learning to make wire jewelry is one of the most engrossing ventures I've ever embarked on. 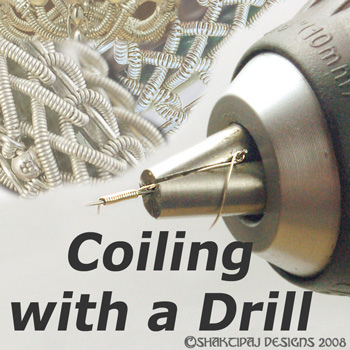 Each time I work a piece I learn a little more about wire and what you can do with it. It stretches my imagination and my muscles. 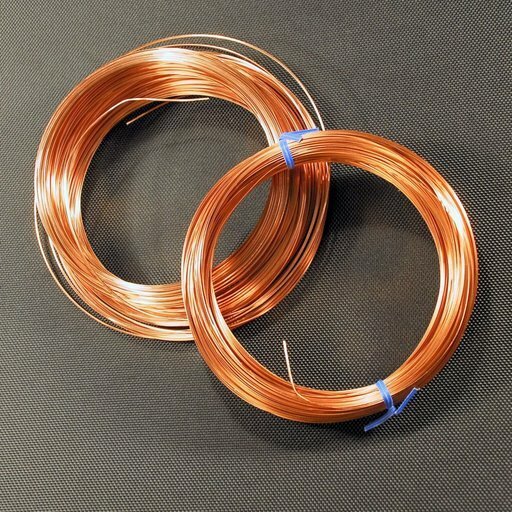 Have you ever tried to bend 10 gauge copper? It's not an easy feat, I tell ya. I love working with tiny gems and beads making dainty, classical pieces and big honking gemstone cabochons creating that statement piece noticed from across the room. Each piece takes on it's own personality and carries a little bit of me with it. 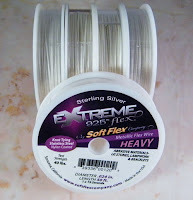 Along the way I started getting some incredibly good deals on supplies and opened all the A Beaded Affair stores to share those great prices on the supplies I use with all of you. Each store carries it's own group of different beads and a great selection of solid copper jewelry wire in 1/2 Round, Round and Square wire. 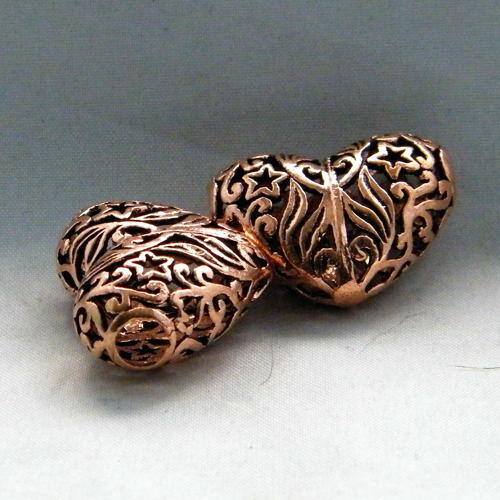 The main store also carries chain and copper findings and some other goodies reserved for you. It's been a great 3 years, with apologies to my daughter and I think we should celebrate. From now until May 31st shop any A Beaded Affair store, use the coupon code 3rdAnniversarySale and receive 10% off everything you purchase. The only catch? You have to visit a store, buy something and use the code. Use the code as many times as you like between now and the 31st and I hope you'll share it with your friends. Thank you to all my friends and fans for a great 3 years. Here's hoping I'll have another 23 to enjoy! Check out my website created by Wicked Plum Shops . Easy e-commerce and surprisingly sweet! Your own domain with shop without all the complicated coding. Websites for artists who want to create and sell, not struggle to learn e-commerce. Memorial Day Gifts - Get FREE SHIPPING! Free Shipping on Steampunk Sally! Got the creative bug back! Tucson Gem Show - Live! #JCKTucson Registration is NOW OPEN! The Post -Dia de los Muertos / Adeline's pre-Bday 30% OFF Sale!!!! *tap* *tap* *tap* - Is This Thing On? Get the Widgetbox Blog Network: Women widget and many other great free widgets at Widgetbox! Get the A Beaded Affair widget and many other great free widgets at Widgetbox! Alternate metals are becoming increasingly popular worldwide. This is a place to discuss, learn, teach, advertise & enjoy everything copper. This group was started to celebrate the artists working in copper and alternative metals. 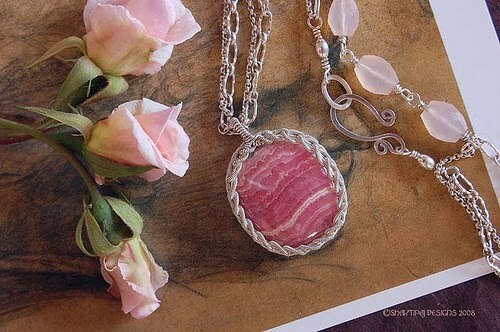 If you are interested in hand crafted, artisan jewelry, this is the blog and maybe the group for you.